It’s funny how history repeats itself! My normal work day started with a 4:30 AM wakeup and stagger into the shower to get ready to get on the bus, ride to the ferry, and get on another bus that would take me to work. 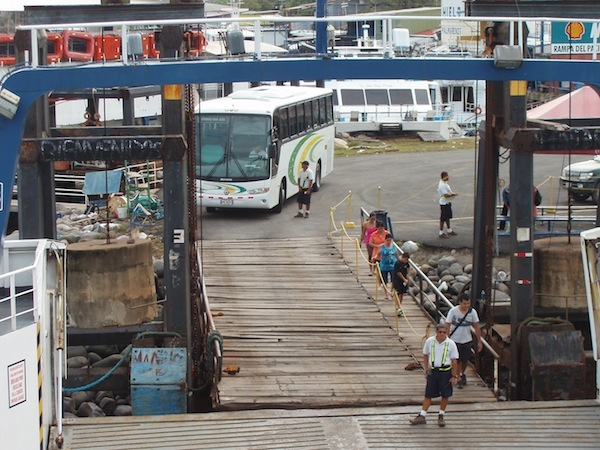 So how did my 1st full day in Cost Rica begin?… wake up at 4:30 AM to stagger into the shower to get ready to get on the bus, ride to the ferry, and get on another bus that would take us to… the resort on the Nicoya Peninsula. Imagine being closer than this most of the time!! with brakes you are not sure will work while drafting the car in front of you during work traffic which includes lots of hills, many people walking along the side of the road, garbage trucks taking up 3/4ths of the road, did I mention the hills? But wait, there’s more… this was the first day they had changed the departure times of the ferry to an earlier time. Our driver was lost at least twice (I’m sure we have seen that church already!!). It was definitely NOT an easy Boeing commute! Not quite like the Boeing commute! This is where the bad drivers go...thinking of you, Nancy! 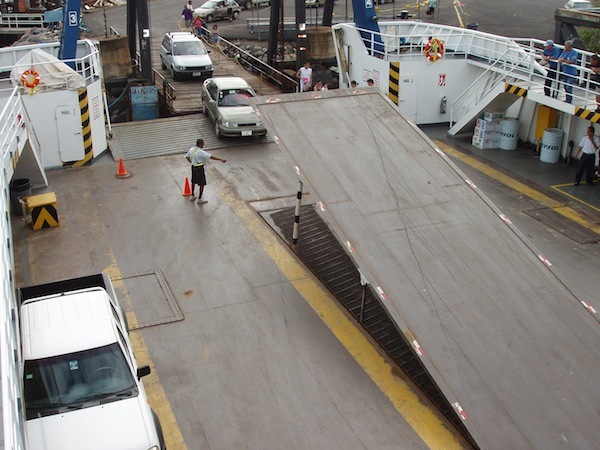 We did make the ferry on time, though, so all was good in the end! 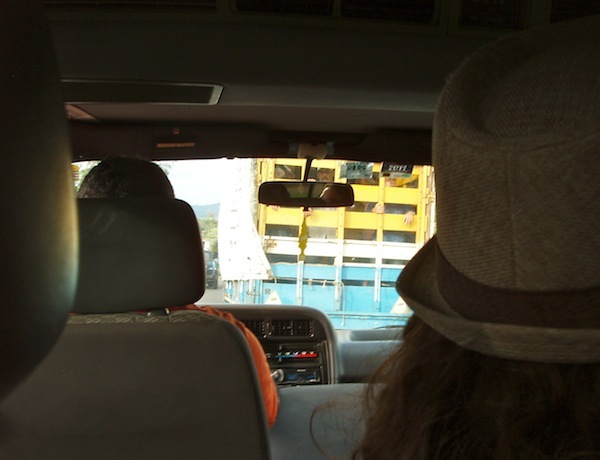 The ferry took us across to the Nicoya Peninsula where we added 3 more people in our “bus”. We finally made it to our resort, Tango Mar, and we are ensconced in a beautiful oceanfront room with the waves breaking on the wide sandy beach just below us. We took a nap, walked the beach, drank a mojito poolside and have now just returned from a marvelous seafood dinner. The weather is overcast and slightly humid but it is at least 40 degrees warmer than back home! 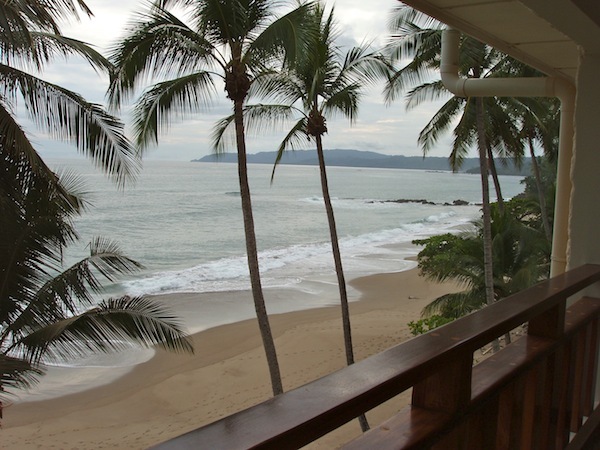 Signing of from Tango Mar Resort, Playa Tambor, Nicoya Peninsula, Cost Rica, Central America! This entry was posted in Costa Rica, Life Events, Random Thoughts. Bookmark the permalink. Sue and Marty I love love love the adventurous story so far!! WOW what a dream you are living!!! 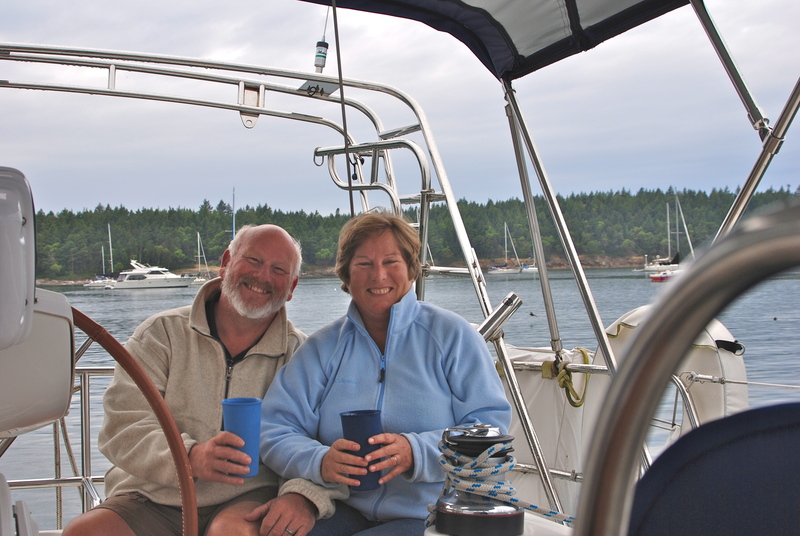 Keep up the posts and photos…….and let us know how yummy the rum is!! 🙂 Have a very Merry Tropical Christmas!!!!! What interesting things are you eating (and drinking!)? What a pretty view! Thanks for taking us along on your trip!